Anxieties are growing over the possibility of Greece withdrawing from the eurozone. Greeks have withdrawn billions of euros from their banks in recent days, with the country’s president warning of “panic” at the prospect of the country leaving the eurozone. Many Greeks are either transferring their savings abroad or taking them out of the banks. Anti-austerity parties that won the 6 May elections failed to form a government and new elections are now due on 17 June, with polls indicating that the pro-bail-out parties will lose even more seats in the new parliament. 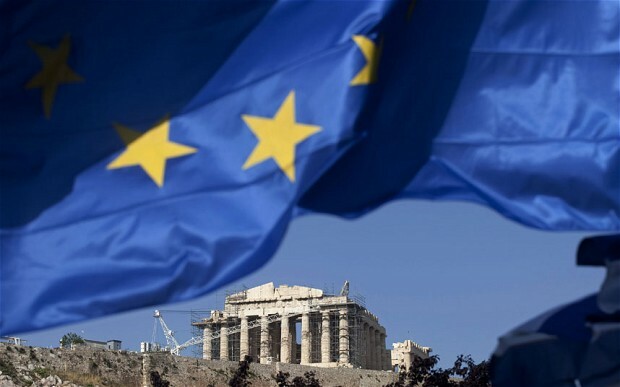 A cabinet of professors and diplomats has been sworn in in Greece to steer the debt-ridden eurozone state into repeat elections on 17 June. Panagiotis Pikrammenos, the senior judge who has taken over as prime minister, said the cabinet’s sole task was to lead the country into the polls. France’s newly elected president, Francois Hollande, and the German Chancellor have both said they want Greece to remain in the eurozone. “We want Greece to stay in the euro,” Angela Merkel said. She added that their governments were ready “to study the possibility of additional growth measures in Greece.” The British government is making urgent preparations to cope with the fallout of a possible Greek exit from the single currency, after the governor of the Bank of England, Sir Mervyn King, warned that Europe was “tearing itself apart”. One estimate put the cost to the eurozone of Greece making a disorderly exit from the currency at $1tn. France’s new finance minister has reiterated that the country’s new government will not ratify the European Union’s (EU) fiscal pact. Pierre Moscovici said the pact would have to include provisions for growth before France signed up. Hollande centred his election campaign around the argument that German-driven austerity alone is not the solution for Europe. Queen Sofia of Spain has cancelled a visit to the UK to mark Queen Elizabeth’s Diamond Jubilee because of disputes over Gibraltar. A Spanish government statement said it was “hardly appropriate” for Queen Sofia, 73, to attend a lunch on Friday. The UK and Spain have been in dispute over fishing rights off Gibraltar, a UK territory which Spain also claims. Spain has also protested over a visit to Gibraltar by Queen Elizabeth’s son Prince Edward and his wife Sophie. Ratko Mladic, the former Serb military commander during the Bosnian war, has gone on trial for crimes against humanity, 17 years after the conflict came to an end. Mladic faces 11 charges including two counts of genocide, extermination, murder inhumane acts and deportation in connection with the worst atrocities Europe has seen since the Nazi era. More than 100,000 people died, mostly Muslim and Croat civilians. Prosecutor Dermot Groome said Mladic and other Bosnian Serbs had divided the territory of the former Yugoslavia along ethnic lines and implemented a common plan to exterminate non-Serbs. Finally, The Daily Mash reports that the nation of Greece said sorry to the European Union with a present of an enormous wooden horse. Left outside the European Central Bank in the dead of night, the horse has now been moved into the ECB’s central lobby where it is proudly on display. A gift tag attached to the horse, which is surprisingly light for its size and has small holes along the length of its body, suggested that it should be placed in the bank’s vaults overnight to avoid it being targeted by thieves. A migratory bird has caused alarm in a village in south-eastern Turkey after locals mistook it for an Israeli spy. Villagers’ suspicions were aroused when the bird, a common European bee-eater, was found dead in a field with a metal ring around its leg stamped “Israel”. They called the police after deciding its nostrils were unusually large and may have carried a microchip fitted by Israeli intelligence for spying. It was taken to government experts for examination and declared safe. This entry was posted in News Roundup by eutopialaw. Bookmark the permalink.